Health struggles can cause difficult, trying times. 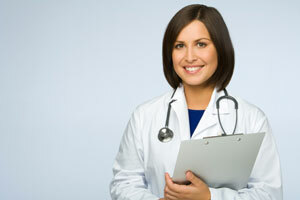 A great doctor can boost your outlook by diagnosing your problems and recommending treatment. A Doctor of Internal Medicine, or Internist, specializes in working with adult patients to monitor health and identify illnesses. If you’re seeking internal medicine help, contact us online or call (614) 882-4411. Simply put, internal medicine is concerned with diagnosing, preventing, and treating illness and disease in adults. Internists differ from family physicians in that they focus solely on adult patients. Many Doctors of Internal Medicine maintain a general focus, looking at a patient’s full body and systems to prevent, diagnose and treat illness. Some Internists, however, choose a specialty, making them experts on a given subsystem or topic. Having a specialty means a doctor has gone through years of focused training beyond medical school and is certified by either the American Board of Internal Medicine or the American College of Osteopathic Internists. Finding the right Doctor of Internal Medicine depends on your needs. Contact us online to get started with internal medicine today. A Doctor of Internal Medicine is the ideal choice for most people when it comes to selecting a physician. Whether you’re a model of perfect health or fighting disease, a general Internist can diagnose, prevent and treat illnesses. From the smallest pains to difficult diseases, Internists specialize in providing the best possible care for adults. Your family physician may even call on an internal medicine doctor to help with a particularly tricky diagnosis. A Doctor of Internal Medicine can also act as a gateway to more specialized doctors. If you’re suffering from heart problem, for example, a general Internist can refer you to a cardiologist. Our patients enjoy an additional benefit with our 24-Hour Nurse Line. Existing and new patients of the Hope Wellness and Recovery center have access to this crucial service, which allows patients to have questions answered day or night. The 24-Hour Nurse Line is an invaluable internal medicine resource that connects patients with the service and information they need. If you’re looking to get in touch with a Doctor of Internal Medicine, there’s no better time than the present. Internists do their best work after getting to know a patient’s unique needs, so it’s best to get started right away. Call or reach us online to set up an internal medicine consultation today.